The members of Jazz Lines Vocal Quartet (JLVQ) are all highly trained vocalists who met through the acclaimed Ewashko Singers, performing regularly at the National Arts Centre and other distinguished venues. They were excited to form this ensemble in 2014 after realizing that they all shared a love for jazz, as well as a fine blend of vocal skill, experience, and personality. Inspired by groups such as the New York Voices, Manhattan Transfer, and the Real Group, and they perform a wide variety of jazz arrangements at a professional standard, mostly a cappella. With tight harmony and creative fluidity, they strive for beauty in their musical storytelling, with a whole that is greater than the sum of the parts. 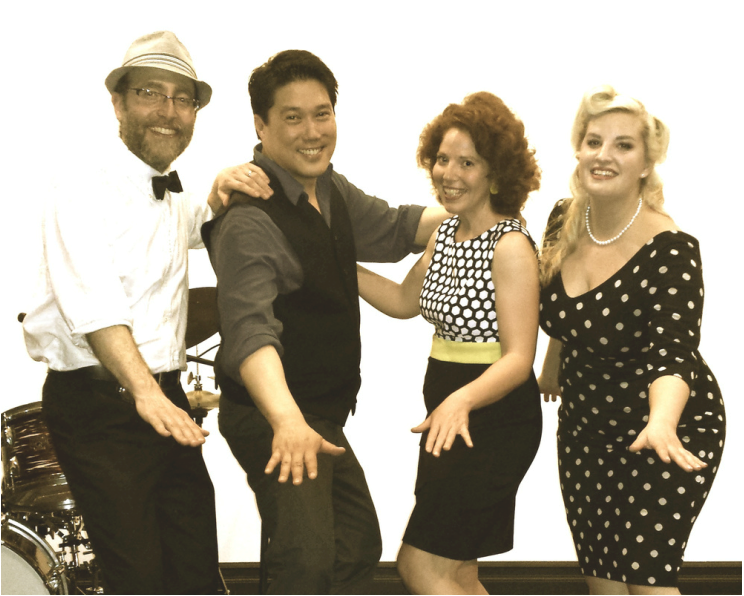 JLVQ has performed at many Ottawa venues, including their debut at Vineyards Wine Bar Bistro in the Byward Market, Brookstreet Hotel's Options Jazz Lounge, Shanghai Restaurant, a Music Kitchen Party at Kitchissippi United Church, and most recently at the Ottawa Swing Dance Society's "Ottawa Celebrates World Lindy Hop Day 2016" event. JLVQ has also performed at several other venues and events in Ottawa this year, and they look forward to continuing to grow and bring their exciting sound to new places and audiences. Originally from Cornwall, Amy graduated from the University of Ottawa‘s music program with a Bachelor of Music and Minor in Arts Administration in 2011. Working with vocal coach Laurence Ewashko, she developed her skills in opera, jazz, and choral singing. She also avidly took part in the U of O Jazz Ensemble as flute and voice soloist, directed by Yves Laroche. She is currently a member of the Capital Chamber Choir. Amy finds inspiration from many jazz artists like Louis Armstrong, Natalie Cole, and Postmodern Jukebox. Amy also writes fun music-related posts in her blog, "Blonde in the Choir". 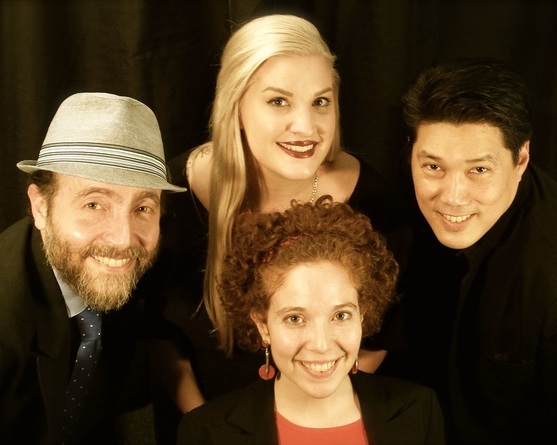 Over the years, Peter had the dream of starting a vocal jazz quartet, and he's thrilled that JLVQ has become a reality. With his background in vocal jazz, choral singing, and interpersonal communication, he's found this project to be a unique integrative experience. Peter enjoys the challenge of leading this group, and finding balance between individual voices and the collective sound. Singing jazz in four part harmony and collaborating with this group of talented friends has been tremendously fun and invigorating, and he is greatly looking forward to musical exploration and adventures ahead with them. This versatile musician's experience includes vocals, piano, electric bass, percussion, and most recently, the ukulele. Since 2009, Stefano has been singing with various Ottawa-based choral ensembles such as the Ewashko Singers and the Capital Chamber Choir, and he has always been interested in many genres of music. Stefano started developing a keen interest in jazz while still in high school, and he played gigs with various jazz ensembles around his native hometown of Cornwall. His diverse influences include Bobby McFerrin, Chris Thile, Dave Brubeck, Brad Mehldau, and The Idea of North.